ServiceMaster Of Edmonton uses cleaning methods and products that have been tested and refined over our over 65 years in the commercial cleaning business. 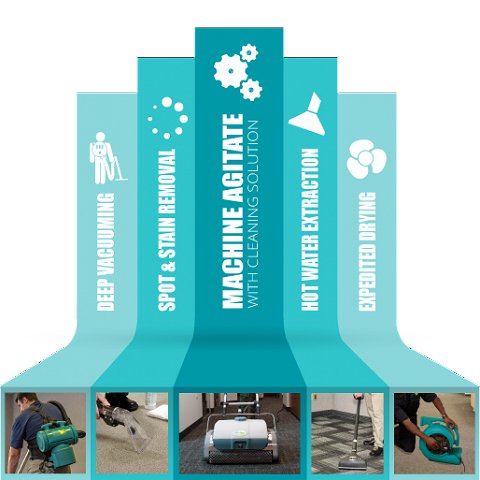 We can provide a commercial carpet cleaning program that is right for your business, and your budget. We recommend using only ServiceMaster Clean products which are designed for specific types of spots. For more information, contact us at 587-410-4240.